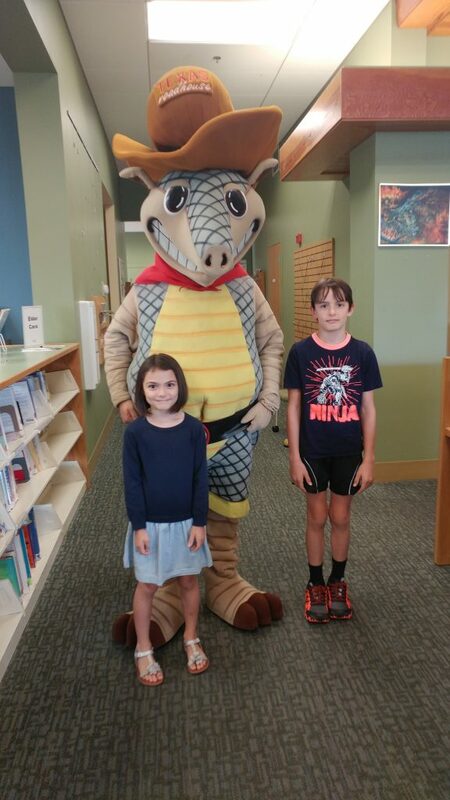 For several reasons, we have been inconsistent with our library visits. Back in January, we bought a lot of books because our house got damaged by wind and water the night of the Gatlinburg wildfire and we lost 40 books from our collection. So I took them to Barnes and Noble and let them choose lots of new books. Andy Armadillo from Texas Roadhouse came over to Story Time at our local library. In retrospect, I wish I had been more careful with our choices, but that’s another story and hindsight is 20/20. I must focus on the fact that they are reading, learning new vocabulary and seeing how stories are put together. All this to say, we have been busy reading books we own, too busy to go borrow books from the local library.